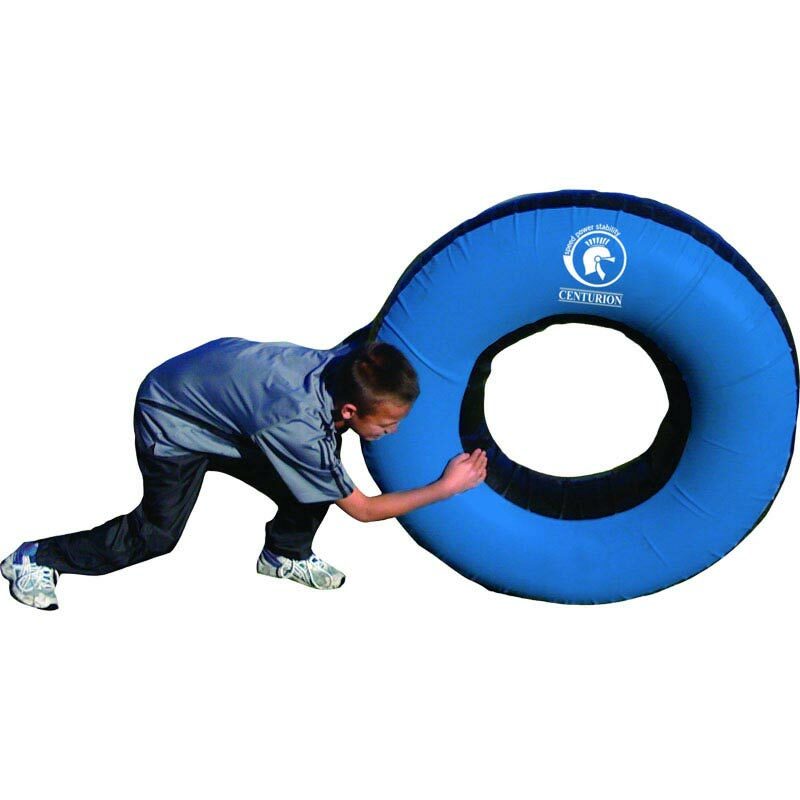 The Centurion Tackle Tube is a moving target to improve tackling technique with total safety! Roll the tube at speeds and angles to suit all levels for dynamic tackling practice. Realistic - Players must accurately judge distance, speed, impact and timing when tackling a moving object. Better Technique - Players must get low, keep their head up, back straight, eyes on the target and wrap their arms in contact with the head correctly positioned. Agility & Fitness Bonus - Chasing a moving target adds footwork, agility, reactions and speed to the training mix, making for game style intensity. Target All Tackles - Front on, side on, behind. Safe Construction - Made from an inflatable tube and heavy duty flexible PVC cover. Easily inflated for training and deflated for storage and transport. Fun & Safe - for dynamic tackling practice. Control the speed to suit the players age and ability, start with slow speeds and progress to realistic running speeds as skills improve. 115cm - for 11-15 years.